Happy New Year everyone! I have had a wonderful Christmas break and I hope you have too. 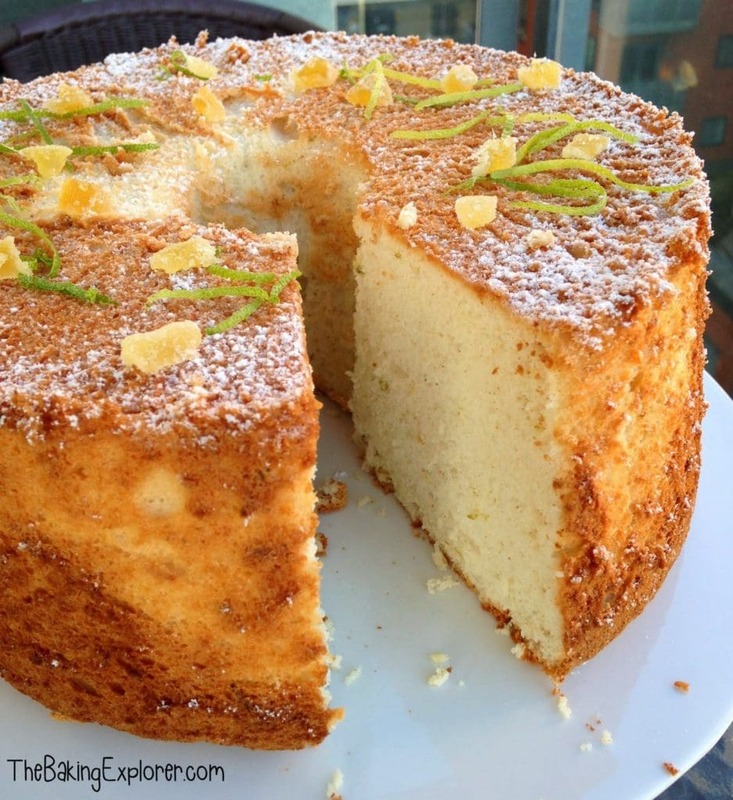 This Lime & Ginger Angel Food Cake is my first bit of baking for a couple of weeks now. That may not sound long, but for me it is! 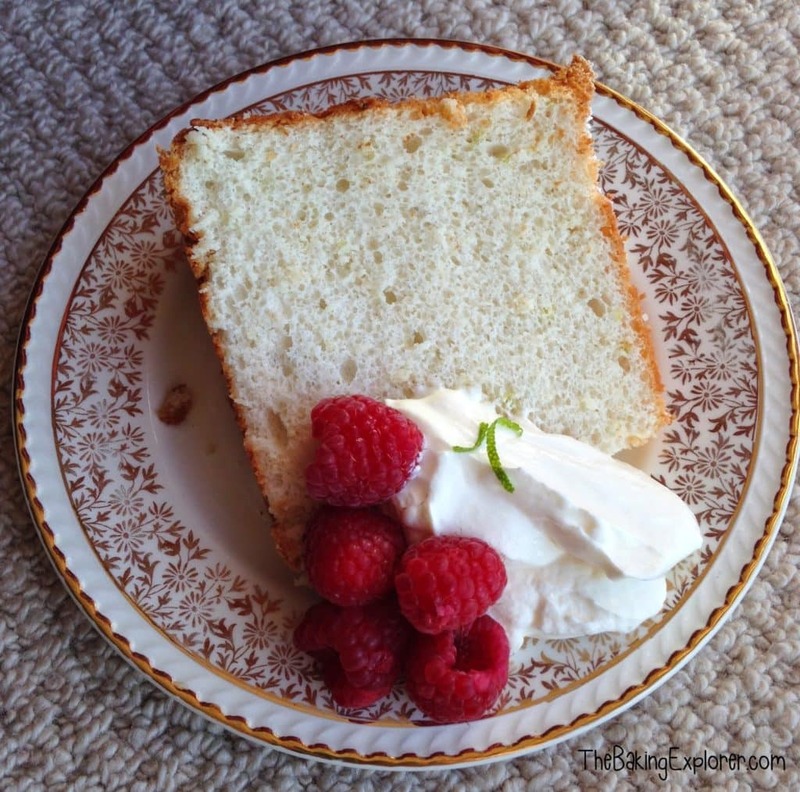 I know this time of year is when everyone starts to focus on healthy eating, and Angel Food Cake is a great option as it contains no butter so is low in fat. I also left the cake ‘naked’! So no buttery icing to worry about. Although I always try to eat well and have plenty of fruit and vegetables, I do think that indulgences are important. As long as it’s one slice of cake once a week, and not an entire cake every day, there’s no harm in my opinion! The base of this recipe is an Ina Garten one that I use for all my Angel Food Cakes (I’ve made a Lemon one and Chocolate one before). 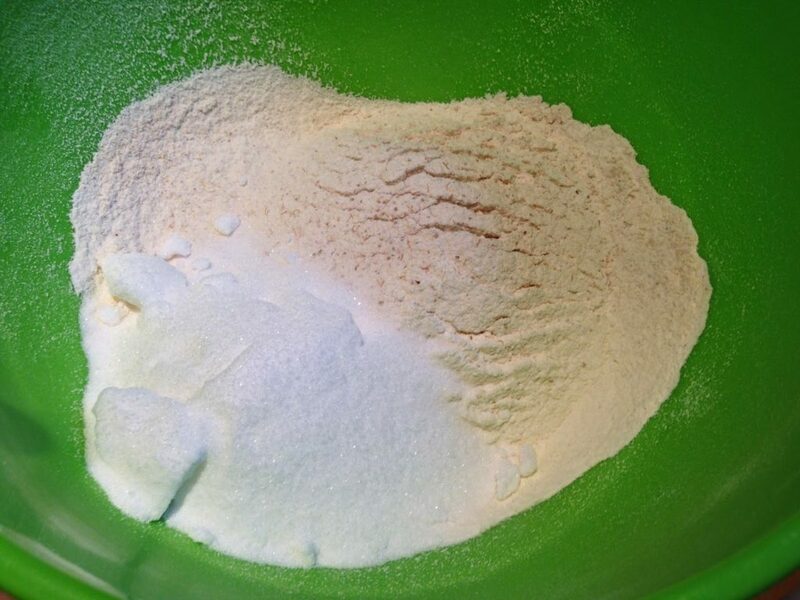 I started by sifting together plain flour and ground ginger, I sifted it 4 times to get plenty of air in it. I then added caster sugar to the bowl and stirred in. 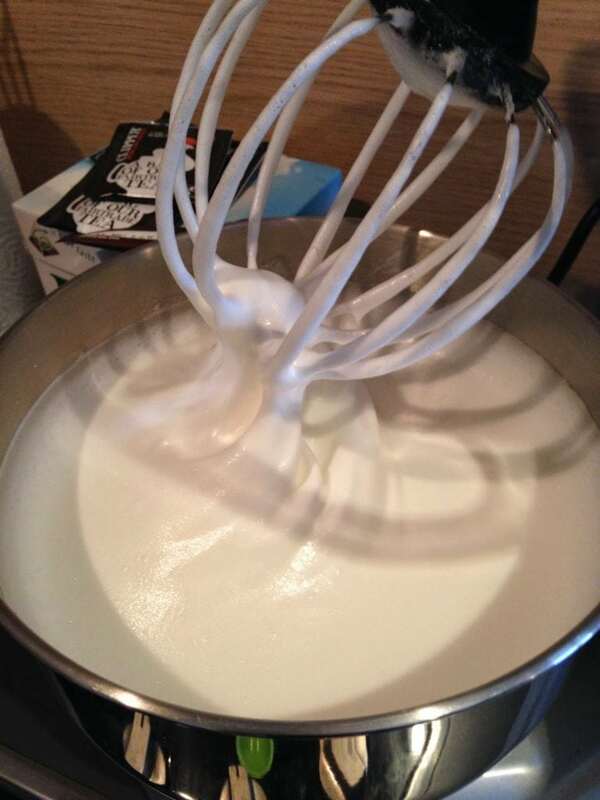 In my food mixer I whisked up egg whites, along with salt and cream of tartar. Once soft peaks formed, I slowly added caster sugar whilst continuing to mix. If you need some ideas to use up your egg yolks, check out my post on Things To Do With Egg Yolks. 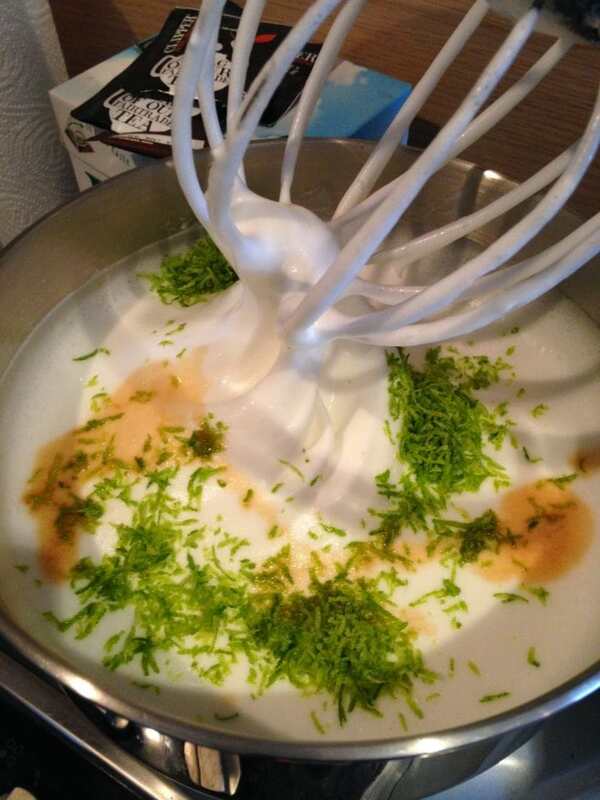 Once the mixture was glossy I added lime zest and vanilla extract and whisked in. I gently folded the flour and sugar mixture into the egg whites. Ina’s tip for folding works for me every time. Cut the mixture down the middle with a spatula and pull it round the edge of the bowl, keep doing this and turn the bowl as you fold. You need to be very gentle so you don’t lose any air. I poured the mixture into my pan and put it in the oven for 35 – 40 minutes. 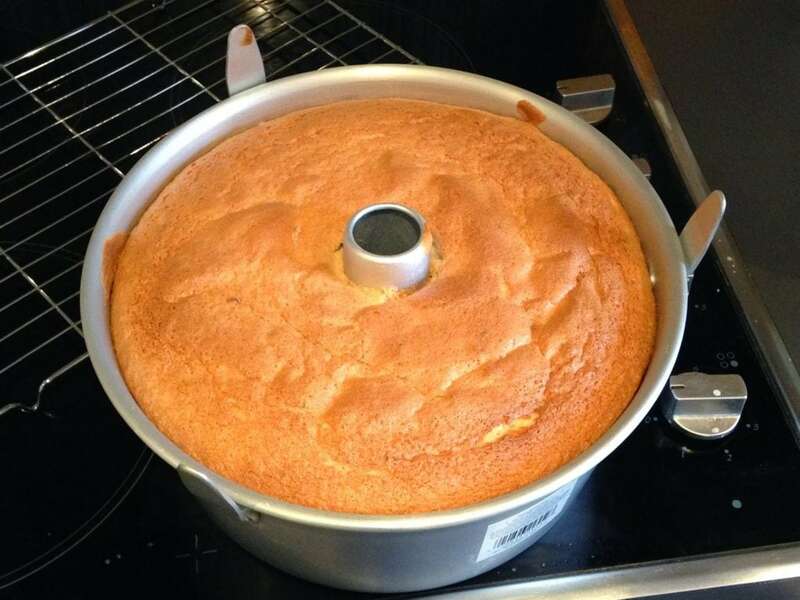 If you are using an Angel Food Cake tin (as pictured above), you do not need to grease the pan. 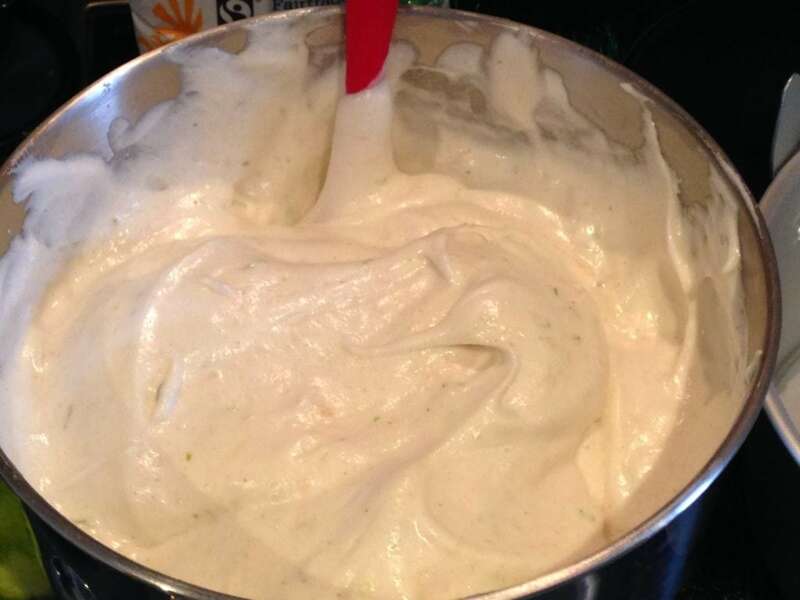 If you are using a non-stick bundt tin, you must grease and flour it. When the cake came out of the oven, I tipped it upside down to cool. Although the tin has little ‘legs’ to assist with this, I always put it on a cooling rack as well. When it was fully cool I ran a palette knife around the edge and middle of the tin and the cake came out easily enough. I decided to keep the cake ‘naked’ and dusted it lightly with icing sugar and garnished with some lime zest and chopped crystallised ginger. 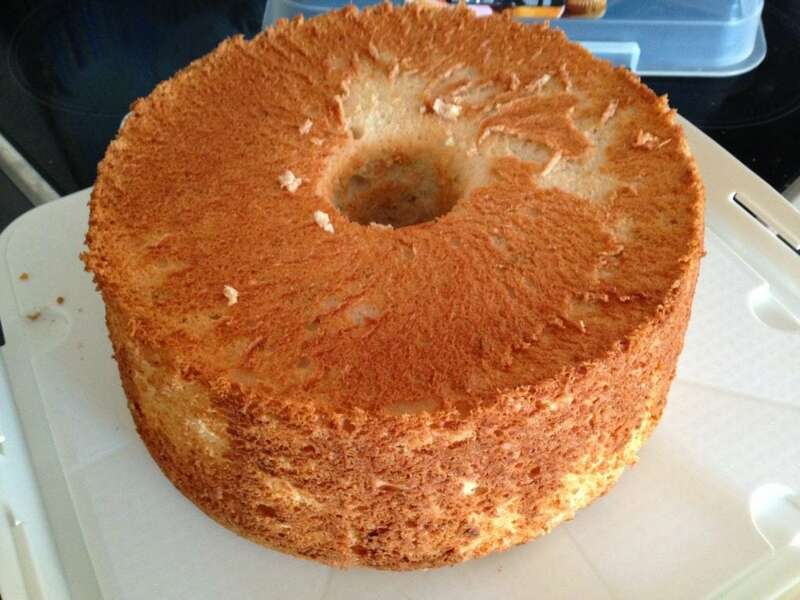 Angel Food Cake is so light and spongey, I love the texture of it and really enjoy eating it. I was pleased that the lime flavour came through so well, although the ginger wasn’t very strong. I think I’ll add another teaspoon next time. It’s perfect paired with creme fraiche and some fresh berries! 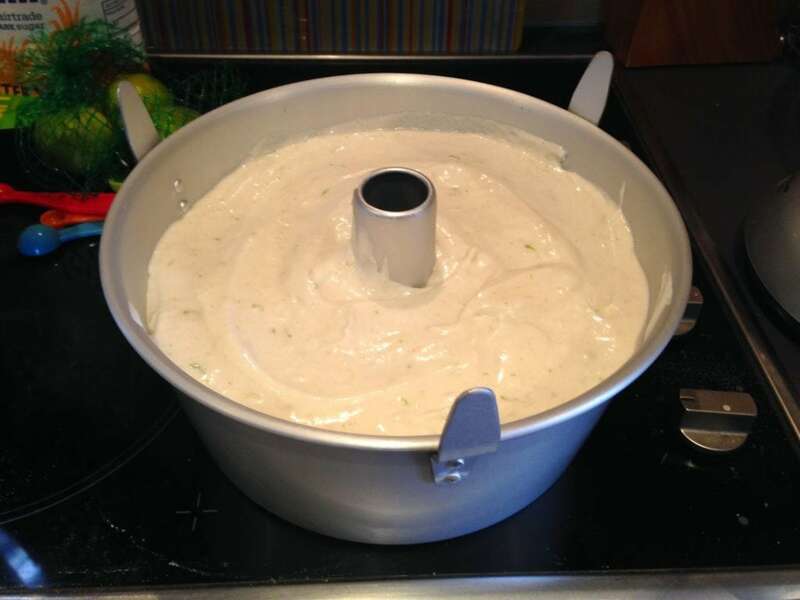 Angel Food Cake – GBBO Season 4 Begins! Thanks Lucy, it was, perfect for January! That's a beautiful, perfectly risen cake Kat! Looks delightful. Love the decoration…. Thanks Kate! Yes I thought I would keep it light and simple! What a fantastic cake! Have never made angel cake and have heard tales of collapsed cakes but yours looks fabulous and I love the flavours. Bravo! Thanks Lucy, I must be lucky as they've always risen above and beyond for me. Ina Garten's recipe always works perfectly. Thanks Ros. What tin do you use? Angel food cake is a weird one as if the tin is non stick you need to grease it, and if it's not non stick, you don't grease it!